This page does not provide legal advice or assistance. This page is meant to provide generic information about marriages in Hawai'i, as a way to help you get started. Additionally, rules and regulations may change over time, so please confirm any information with the appropriate resources. If you discover outdated information or links, or have additional questions, please contact Denise Esposito. You will need to obtain a Performer License from the state's Department of Health HERE. Written Request from you. State the full names of the couple, the wedding date, and the location. And, if one or both are Episcopalians, confirm in writing that the couple is getting married according to your Diocese's guidelines. Include your name, contact information, and any additional pertinent details. Letter of Good Standing. Request a letter of good standing from your Bishop. This should be sent directly to Bishop Fitzpatrick from your Diocesan office. ​The priest shall register the marriage at the church where the ceremony takes place. If it takes place at a location other than a church (ex: beach or hotel), the marriage is to be registered at a church near the venue. Please visit the "Our Churches" page for a listing of churches by island and contact the church directly for assistance. Canonically resident and licensed clergy in the Diocese of Hawai'i will find the required forms on the "Forms and Documents" page (scroll to "Marriage"). Obtaining a marriage license is relatively easy – the application is done online and you have to appear before a marriage license agent to finalize the application. See the information under "Licenses" on this page for links and additional information. If you want an Episcopal priest in Hawai'i to marry you in either a church or outdoors, please contact the priest directly to inquire as to their availability and the requirements. You'll find church information, including clergyperson names on the "Our Churches" page. Request temporary permission to officiate from Bishop Fitzpatrick. Apply to be a certified marriage performer with the state. 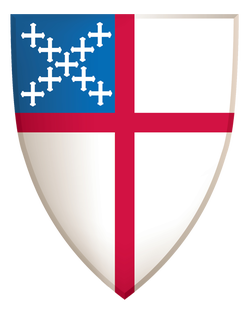 Additional information is in the "Out-of-State Clergy" section on this page. One note for those desiring an outdoor wedding that is on public property (ex: on a beach), a permit is required. Visit the website of the Department of Land and Natural Resources HERE to learn more. A marriage license permits a marriage to take place. Applying for a marriage license in Hawaii is done online, through the state's Department of Health website. Make sure to read the instructions regarding eligibility and requirements. Note that the couple will still need to appear before a marriage license agent in order to finalize the application process. A marriage certificate is the document that indicates a legal marriage has taken place. If copies of a marriage certificate are needed, you can apply for one or more additional certified copies.